The agenda for today's post is a little bit of Bragging. But I am just too happy and I don't mind indulging in some self admiration. So today I am going to list down So-Saree's wins till date. They may seem small or insignificant to you...but for me, they mean the world. 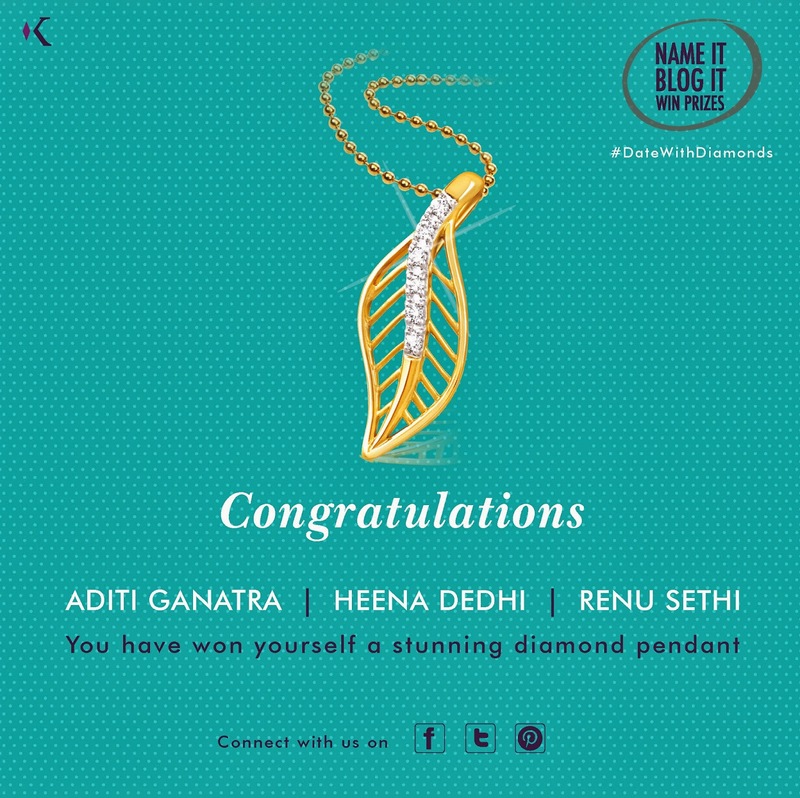 When Shreeja of Pineapple-ish announced a contest for Women's Day I was so excited, and I decide to participate. We were supposed to style ourself to show "How do we feel about being a Woman". Read my winning entry Here. Of course you remember this one. It was because of you guys that I won this contest. The Winner of this contest was determined by maximum votes. And guess what... Yours Truly won it with a huge margin. Thank you everyone. Read my Winning entry here. If you follow the social media feeds of So-Saree, you probably know about this one too. 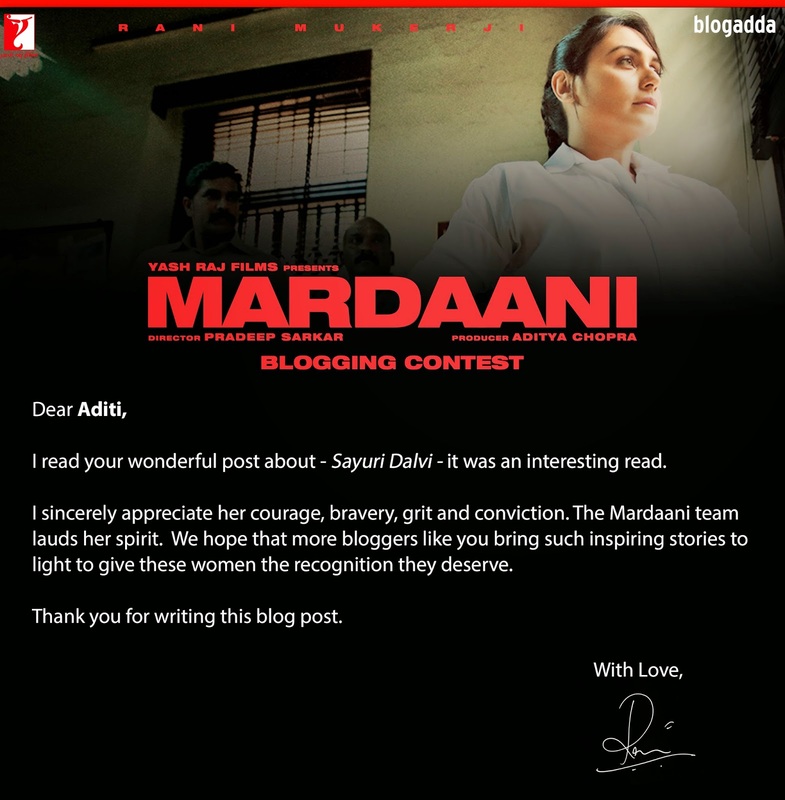 I won the Mardaani contest and got to attend a special screening of the movie Mardaani at Yash Raj Studios and also meet Rani Mukherjee. A detailed post on it will come up soon. Read my winning post here. This is not exactly a win, but I still want to mention it. 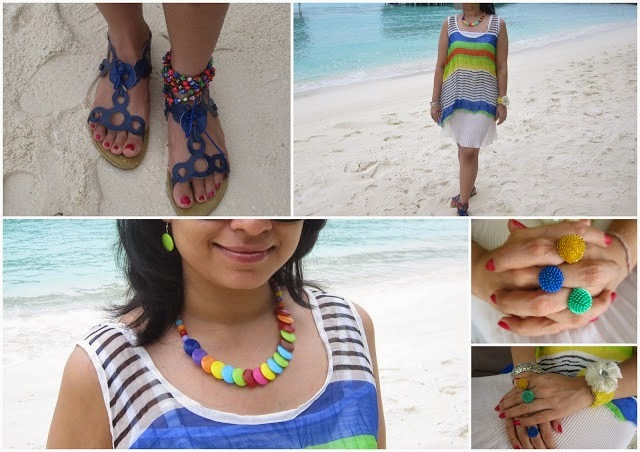 My first ever interview was featured on SmartIndianWomen.com and it was a complete pleasure. Read it here. Until we meet next time, keep reading So-Saree and thanks again for all the support. Wow!!! Way to go Aditi. Heartiest Congratulations to you and here's to many more such victories in future. Enjoy the glory!! You are indeed quite a little bundle of talent. Congratulations on all those well-deserved wins! It is no small feat to win all these competitions! You totally deserve each one of them and so many more. Wishing you many,many more wins in the coming years.